I can’t remember where I first came across Buddy Boxes, it may have been on another blog or a Facebook post but I’m so glad I did. Blurt are a charity increasing awareness and understanding of depression. They have various resources on their website and one of their initiatives is the Buddy Box. This is a box of self care items which can be bought as a one off or a monthly subscription. I bought one for my friend who was recovering from surgery a couple of months ago and got one for myself this month. You can order throughout the month and the box will be dispatched on the 9th of the following month. 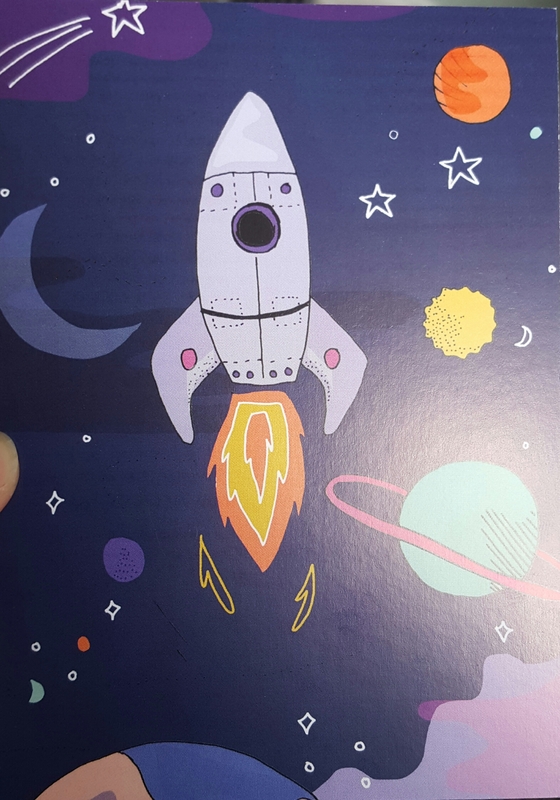 Each box has a theme and this month’s is “Out of This World”. Firstly I just love the box and the tissue paper, they seriously commit to the theme. First up is this tea (rrp £3.50) from We Are Tea, you get 12 bags (posh ones like teapigs) that contain echinacea, nettle, berries and calendula petals. I love tea so this has gone into my locker at work so I can enjoy a cup everyday. 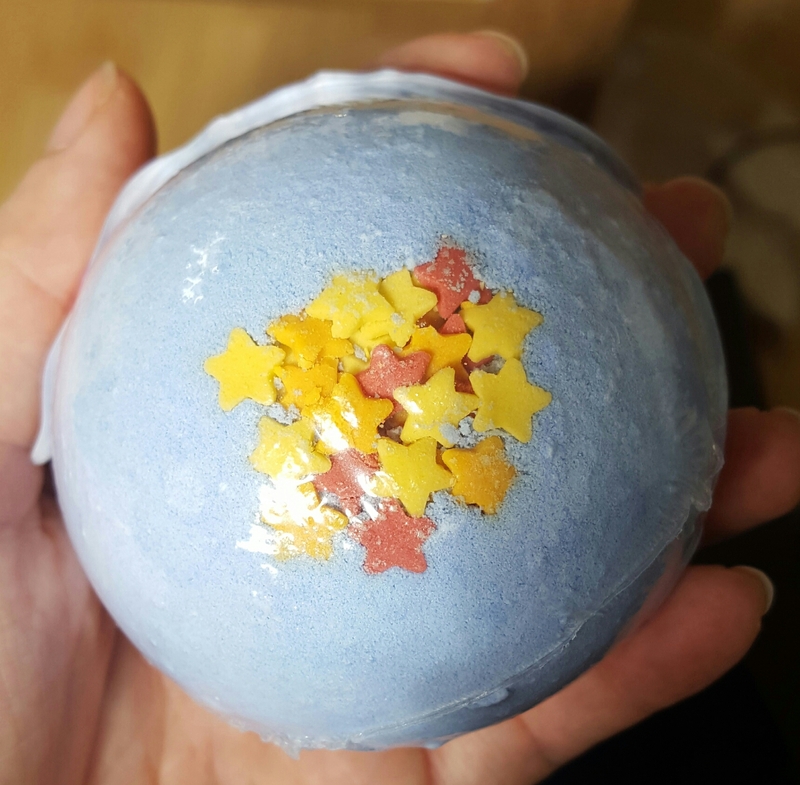 Baths are one of the best ways to relax and I love how this bath bomb (rrp £2.99) from Bomb Cosmetics fits into the theme of the box. I can’t wait to try it out! 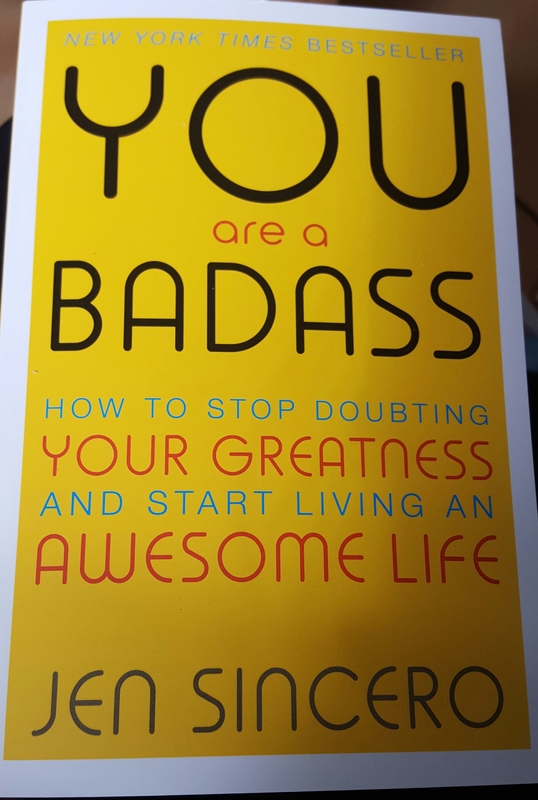 I’m interested in reading this self help book You Are A Badass (rrp £9.99) by Jen Sincero, it looks like an easy read and quite funny and entertaining. 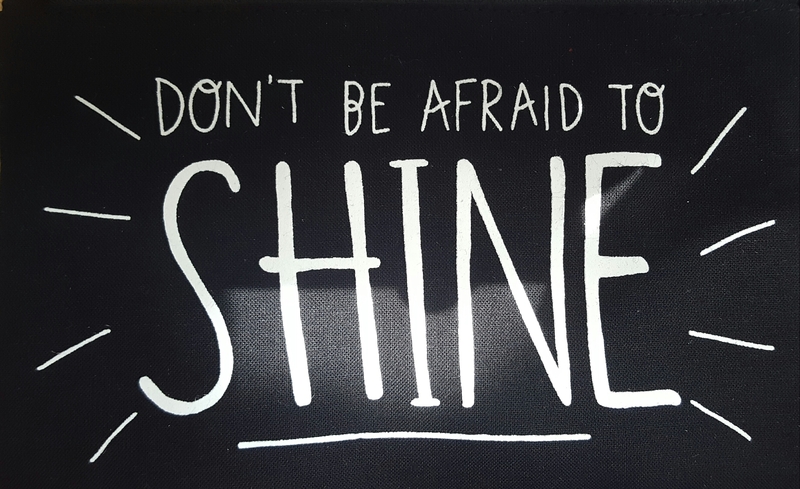 I was thinking what I could use this Don’t Be Afraid To Shine pouch (rrp £7.50) for and I’ve decided I can put my sewing bits in it when I carry them around in my handbag. I think you get a pin badge in every buddy box that matches the theme. 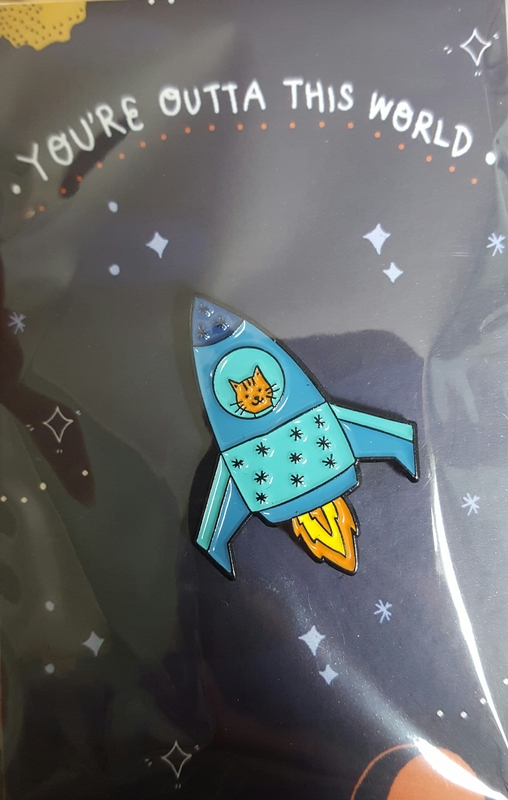 This cat in a rocket is really cute and it’s going onto my jacket sharpish. 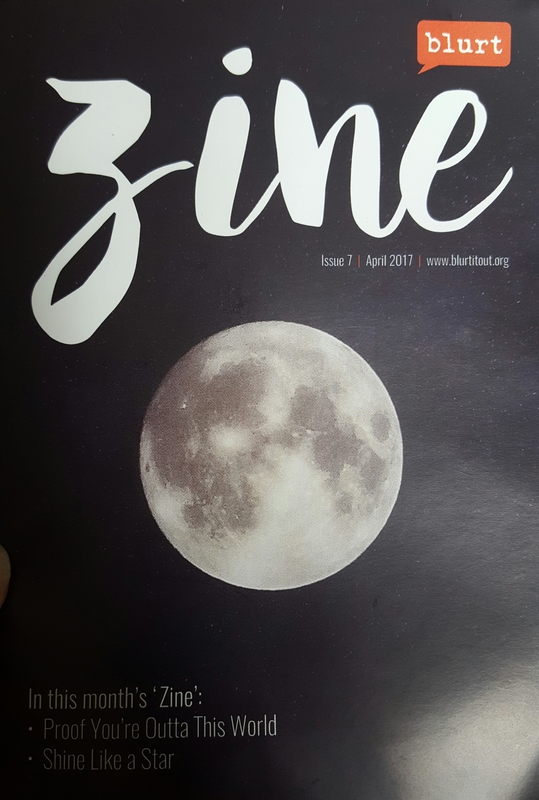 There is also a little zine each month explaining the theme. 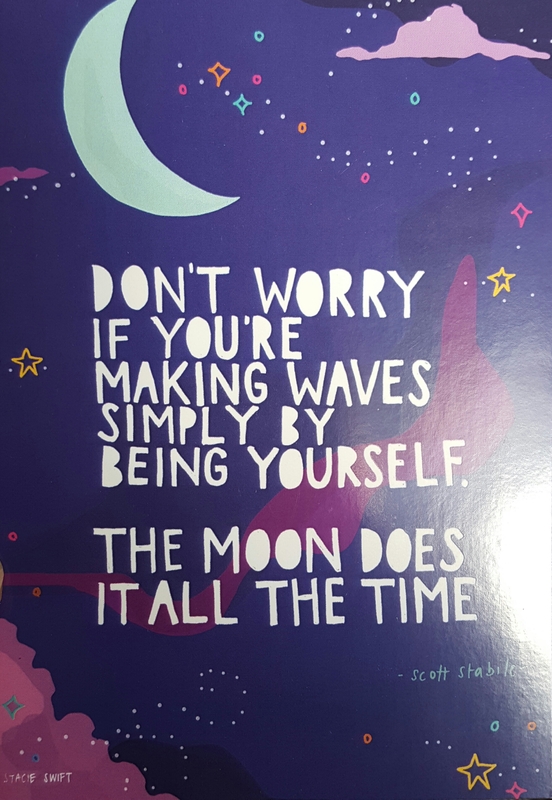 This cute postcard is going up on my fridge. And there’s also this cute card which tells you about all the products on the back. 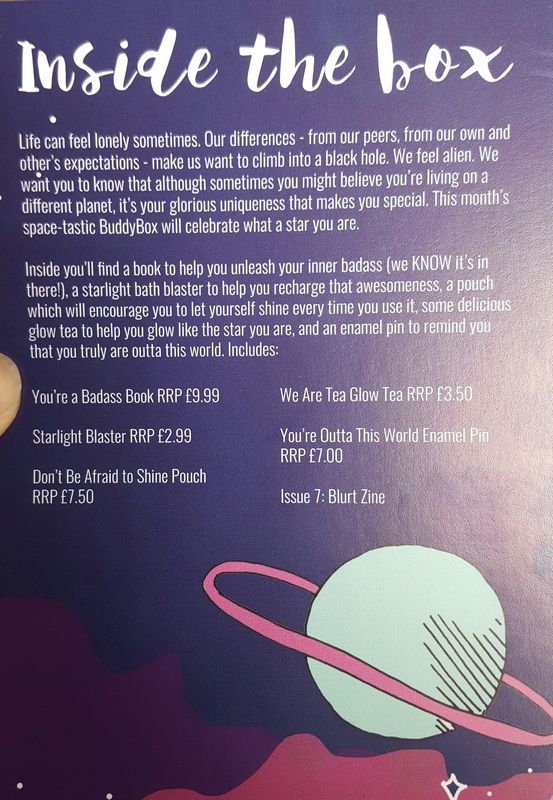 This is not something I would subscribe to monthly as that’s not my thing, but I think it’s cool to buy one every once in a while when you think you need a little help with your self care or to buy for a friend who you think could do with a few nice things. Another thing to note is not all the items are guaranteed to be vegan, although all the items in this box were. What do you think of the Buddy Box? What you consider buying one for yourself or a friend? What are your self care tips?Let me know in the comments below.